Designed for multiple outlet operators, ePOS Central offers maximum control over your Uniwell EPoS terminals, providing sales, transaction and staff analysis to aid in the management of multiple outlets from a central back office. Capable of handling several hundred separate outlets POS Central puts you firmly in control over the point of service and delivers key business information to help make quick and timely decisions. 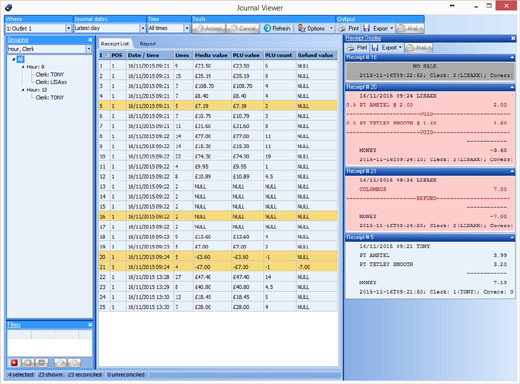 ePOS Central is a multi-site, multi-user reporting and stock management back office software solution for use with the Uniwell PoS Terminals. The software uses industry standard Microsoft SQL Server databases with support for 2008, 2012 or 2014 full and express versions. Complete control over your EPOS terminals to allow business decisions to be implemented quickly, whether it’s changes to staff, menu updates, new products, price increases or systems changes. 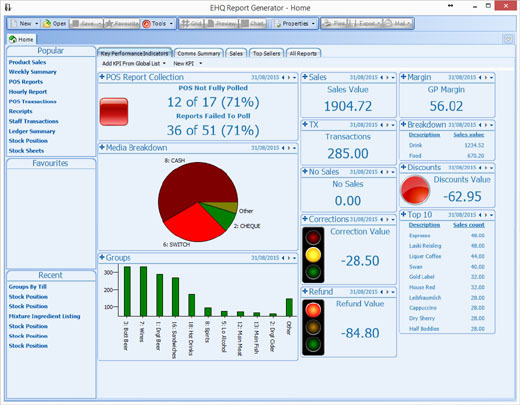 Powerful Key Performance Indicators and a selection of detailed reports to help you deliver business performance and generate greater profits. Keep a record of your audit roll on your PC for future reference.